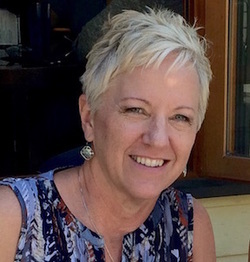 Originally from the Pacific Northwest, Wendy Ervin moved to Middle Tennessee in 2003 with her family and retired from a career as a maternal-infant Registered Nurse. She was then able to pursue her passion for oil painting and has studied with a variety of master artists: Roger Dale Brown, Colley Whisson, Anne Blair Brown, Frank Baggett, Kevin Macpherson, Marc Hanson, and Morgan Samuel Price. Wendy uses a limited palette of bright clean colors in her landscape, figurative, and cityscape paintings to capture the simplicity and serenity of everyday moments. She enjoys both studio work, using photographic and sketched references from travels in Europe, Mexico, and the US, as well as plein air painting in beautiful Tennessee. She spends countless hours of personal study and practice, always wanting to grow as an artist. Wendy is an associate member of Oil Painters of America, the National Organization of Acrylic and Oil Painters, and The Chestnut Group in Nashville and serves on their Board of Directors. She participates regularly in art shows in the Middle Tennessee area and has had her work juried into national shows. "My primary objective in every painting is to capture a unique moment in time and interpret it with the contrasts of light & dark values, warm & cool color temperatures, soft & sharp brush strokes. Every painting takes me on a journey into the intimacy of the form and content of each shape, the gesture of movement, and the mood of the subject. For me, life has the sweetest meaning in simplicity, stillness, and those ordinary experiences of beauty: a field of tulips, waves hitting rocks, light on autumn leaves. My art focuses on being awake to the wonder in nature, in people, in the precious moments of living. “We do not want merely to see beauty, though, God knows, even that is bounty enough. We want something else which can hardly be put into words-to be united with the beauty we see, to pass into it, to receive it into ourselves, to bathe in it, to become part of it." C. S. Lewis, “The Weight of Glory" "